You can learn a lot about a (education) startup if you listen to a founder tell its origin story – how she came to identify a problem, and how she devised the solution. You can ascertain a lot about mission and trajectory based on how she frames that narrative. Khan Academy has a fairly well-known origin story, for example. It’s one that Sal Khan tells a lot: he was tutoring his cousin remotely; he made some math videos, which she said she preferred to him in person; he put them on YouTube; Bill Gates liked the videos too; so Khan made thousands more. I couldn’t help think about Khan Academy’s origin story when I talked to LearnZillion’s Alix Guerrier yesterday, and when we spoke about what led him and his co-founder Eric Westendorf, both former educators, to start an online video lesson company. Khan Academy has such monopoly on mindshare of math videos, after all. So what makes LearnZillion different? The origin story: Westendorf was the principal of the EL Haynes Public Charter School in Washington DC where he had implemented a program of six-week improvement cycles – students would be assessed regularly, and the teachers would take a day off to pour through the data and adjust lessons accordingly. Some things were easy to address; some teaching plans easy to re-formulate; some concepts easy to re-teach. But what if you’ve taught something the best that you know how, and students still don’t get it? That’s where Westendorf turned to video: helping teachers make videos of their best lessons to share with others. That's where the idea for a platform that extended beyond the EL Haynes Public Charter School was born. The “others” here that the videos can be shared with, I should note, include both students and teachers. 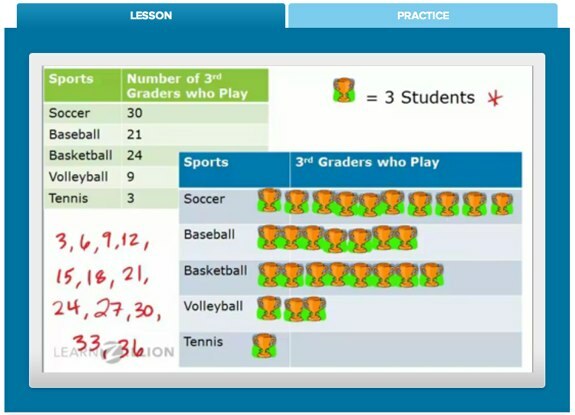 The LearnZillion site itself is really geared for usage by teachers. The videos can be gathered into "playlists" and include quizzes to track student progress. The videos also include a “director’s commentary” of sorts, where the author of the lesson explains some of the thought processes behind its design. That means the LearnZillion videos then aren’t just about content delivery or students’ content knowledge; they’re about teachers’ pedagogical, content, and pedagogical content knowledge. The startup is only about a year old, and certainly it's entering a space that's dominated not just by Khan Academy but now too by TED-Ed. The former has the brand recognition and increasingly it's focusing on its learning analytics platform; the latter has clearly much higher production values and snazzier animation. Will LearnZillion be able to carve out a niche here by balancing animation, analytics, and teacher PD? 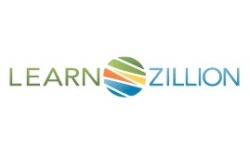 LearnZillion has raised $2.4 million in funding from New Schools Venture Fund and the Gates Foundation’s Next Generation Learning Challenges. It’s used that funding in part to pay a “dream team” of educators to create some 400 short math lessons, which are all Common Core-aligned and freely available on the site (They are also on YouTube). The startup is holding a Teachfest later this month in Atlanta where it’s bringing together 100 educators to film more lessons.